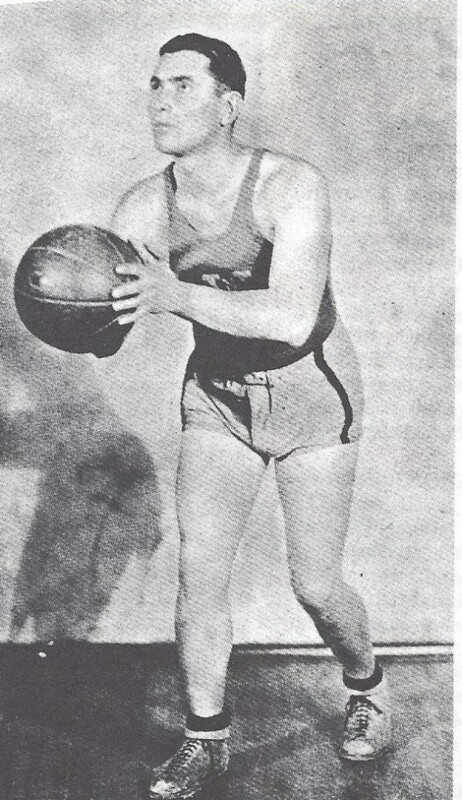 Harry “Jammy” Moskowitz” established a reputation as one of the best athletes in Brooklyn in the 1920’s He starred in basketball, football and baseball at Commercial High School and led the basketball team to the 1923 PSAL championship. He began playing professionally in 1924 with independent teams in the New York City. In 1925, Marty Friedman recruited him to play for the Cleveland Rosenblums in the newly-formed American Basketball League. Moskowitz turned down the offer because he had begun coaching at James Madison High School in New York City, a position he would hold for four decades. His team captured the city basketball title in 1939 and 1943 and overall won 547 games against 224 losses. In 1928-29, he did play in the ABL for the New York Hakoahs. Moskowitz also established a reputation as a fine college referee and officiated many important games at Madison Square Garden in the 1940s.